Crazy and calm, exciting and relaxing, Vietnam is among the rare destinations where your experience can be stretched to its limits. When it comes to tourism, Vietnam is a reverberating symphony of culture, history, landscape and at its heart, the people. Traveling to Vietnam, you will find that these categories are not rigid but rather diverse and dynamic. Every landscape you tread, every architecture you see, every dish you taste and every person you meet has a story to tell you. Therefore, no matter what preferences you have, Vietnam can offer you your best travel experience. In 2016, Vietnam is forecasted be an even more ideal destination. Major international and regional events, especially Hue’s Festival 2016 and Asian Beach Games 2016, will be held at various tourist destinations. Another reason why Vietnam should be on your list in 2016 is about affordability. Although tourism has witnessed giant leap for the last decade, in Vietnam, prices are low compare to other countries. Take for instance, while having a decent vacation in Bali will cost you no less than $100 per person per day, a lovely two-day cruise tour in Halong Bay is only around $140. The deal gets even better if you are a backpacker: it only costs you around $20 a day to discover and enjoy the most “expensive” metropolises of Vietnam. Hanoi is a unique city where seemingly contradictory characteristics happen to exist in harmony. It is where the people embrace rich cultural legacy while thriving to modernity and affluence. It is where you can easily find thousand-year-old pagodas, colonial French-style buildings, and modern skyscrapers all located on the same street. And it is where you can find hip-hop dancers showcasing their skills with daring moves in the same park where old grandfathers are doing Taichi with a calm and relaxing demeanor. When it comes to tourism, there are endless choices for a thrilling and satisfying excursion in Hanoi. In this city of more than one thousand year of historical continuity, you can virtually walk through time as you visit various tourist attractions and historical sites. Some of them date back to as far as the 1000s C.E., such as One Pillared Pagoda, Temple of Literature and National University. The Old Quarter or the Ancient Streets, which is regarded as Base Camp for many foreign tourists, is also a historical landmark as it was actually conveyed many centuries ago, encompassing streets that made and sold all sorts of commodities. The sights of modernity such as high-rise buildings with shopping, dinning and entertainment complexes, are, of course, visible everywhere in the city. Bai Tu Long Bay is one of the most beautiful seascapes in Vietnam. Located within the Gulf of Tonkin, they bay is capable of leaving you in awe with its emerald waters and thousands of titanic islands and islets. Adjacent to Halong Bay at its southwest side, Bai Tu Long Bay is even more mesmerizing than its counterpart because of the absence of mass commercialization. Here, you will have the chance to visit Bai Tu Long National Park, which is the habitat of hundreds of flora and fauna. Aside from these natural scenery, the bay is home to about 30,000 people. Most of them live by fishing on Van Don, Quan Lan, Ban Sen, Ngoc Vung islands. A day tour to their offshore fishing villages will offer you a glimpse into their simple yet back-to-nature lifestyle. To the southwest of Bai Tu Long Bay is Cat Ba Archipelago which belongs to Hai Phong City. With green islands and giant limestone islets, Cat Ba’s waters are consistent with the magnificent scenery of the surrounding seascapes. The main island of the archipelago is Cat Ba Island, also the largest island in the Gulf of Tonkin. With an area of 354 square kilometers and a population of more than 8000 people, the island is a resort town with more than enough infrastructure and facilities to support the influx of tourists and vacationing locals every summer. In spite of these manmade development, a major area of Cat Ba is zoned as national park where diverse ecosystem, dense forests and large limestone grottos are preserved. Located 100 km from Hanoi, Trang An Eco-complex is a part of Trang An Scenic Landscape Complex, a 2000-square-kilometer area that hosts various tourist attractions, ranging from natural scenery to religious architecture. Boasting the nickname of Inland Halong Bay, Trang An Eco-complex is packed with limestone mountains, jungle, caves and river. The most popular way to travel through this area is on small rowing boats. Cruising on serpentine river of sparkling emerald water, tourists will feel immersed in the refreshing atmosphere and enthralled by the spectacular scenery. The boats will take you to the limestone caves along the river. More precisely, you will go under the mountains by boat. There are 9 caves in total and each has its own shape, size and formation. Some caves are so big that once you are inside, everything is surrounded by darkness and you cannot even see their end. 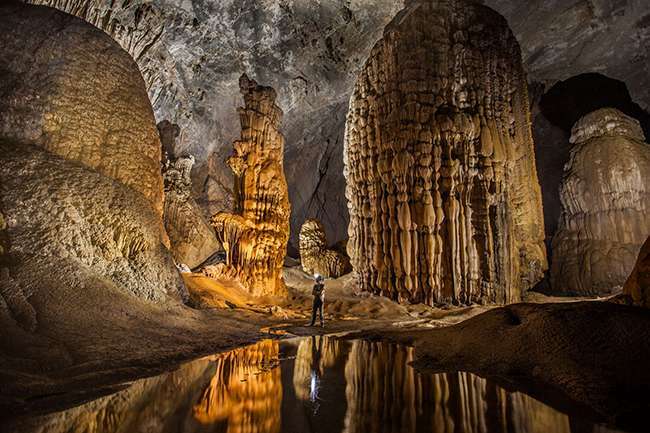 Some has its own historical legend such as Wine-brewing cave, which is believed to have some connection with Dinh Tien Hoang, the ancient king who unified Vietnam a millennium ago. At some points of the journey, the water is so calm and clear that you can see the algae and fish floating and swimming below. Where the nostalgic and poetic ambiance can be felt from the quiet corner of the streets to the mossy walls of imposing citadel, Hue is a city of its own class. Being the capital of Vietnam from 1802 to 1945, Hue hosts an array of old palaces, citadels, tombs, and temples. Magnificent as the impression that these structure may give, Hue, contradictorily, is renowned for its solemnity and quietness. Maybe this can be traced to the history of Hue, the last imperial capital of the last dynasty of Vietnam, and later on a city that suffered unimaginable horror during the bloody Vietnam War. No matter what the reason is, Hue can be aptly compared to a lady that harbors deeply in her heart a sad story that manifests in the poetic atmosphere of the city. Endless words and phrases of poem have been invented to describe the dazzling charm of Huong River, the most precious treasure of Hue. However, the beauty of the river is beyond word, especially at sunset when you have to see it to believe it. The experience of stepping into a Romantic painting! Though no longer the capital of Vietnam, Hue can still proudly boast its title of the center of Vietnamese cuisine. Once home to the most extravagant dynasty, Hue’s cuisine has developed into an art, with every dish being perfect from the look to the taste and encompassing the finest of Vietnamese gastronomy. Voted as the best city to live in Vietnam, Da Nang is a combination of modernity and tranquility. Unlike Hanoi and Ho Chi Minh City, which often face the nightmare of traffic and pollution as well as many hassles regarding urban planning and development, Da Nang is blessed with large area relative to its population. Revamped infrastructure, modernist buildings, surreal bridges (at night), clean boulevards and friendly people have become the widely recognized qualities of the city. 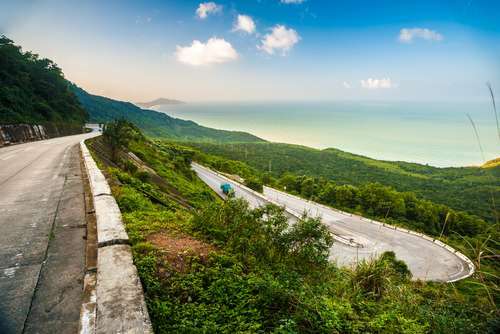 Located in a superb location for developing tourism, Da Nang has been regarded as the most attractive destination by many Vietnamese families and foreign tourists. Natural wonders range from white-sand beaches to tropical forests on Son Tra Peninsula and manmade attractions ranges from Ba Na Hills Mountain Resort to Fantasy Park Indoor Entertainment Zone. A maritime city, Da Nang is most renowned for its beaches, among which My Khe is the most beautiful. Indeed, this slightly sloped strip of crystal water, white sand and poplar trees was voted by Forbes Magazine as one of the world’s six most attractive beaches in 2005. Before 1975, My Khe was reserved exclusively for U.S. GIs stationed in South Vietnam. Nowadays, My Khe is dotted with hotels catering to all kinds of tourist demand. Hoi An is an ancient town, located in Quang Nam Province. With mild climate and strategic location, Hoi An used to be one of the busiest port in Asia, attracting merchants’ ships from China, Japan and Europe during the 17th and 18th centuries. Trade not only brought material prosperity but also cultural values, especially in terms of artifacts and architecture, to Hoi An. However, during the colonization period of 19th, Hoi An lost its position as the primary port of Central Vietnam to Da Nang which was being developed by the French. Since then, Hoi An became a quiet and peaceful old town, unaffected even during the turbulent years of the wars and the following mass-urbanization period. Thus, most of the cultural and architectural values of this city have remained intact. Hoi An has the unique charm to mesmerize any tourist with its atmospheric and delightful ambiance. Free from the modern curses of traffic and pollution, Hoi An offers its visitors the experience of being immersed in peacefulness, the perquisite for a satisfying and meaningful journey. In this UNESCO World Heritage Site, stand still various constructions of different Asian cultures, among which Japanese Pagoda Bridge and Chinese Phuc Kien Assembly Hall are the most outstanding. Hoi An’s handicrafts and tailorship, renowned for their sublime quality, are representatives of Oriental craft and artistry. Regarded as the Pearl of the East Sea (aka South China Sea), Nha Trang is a tropical paradise of year-round warm climate and refreshing golden-sand beaches. Gulf of Nha Trang is about 507 sq km, comprising of 19 islands. Every island on this list has something special for you to admire, ranging from empty beaches and unique ecosystem to caves hosting thousands of salangane. In addition to these marine pearls is Nha Trang’s diverse and colorful coral reef, making an ideal destination for snorkeling and scuba diving. Given such a variety of tropical marine ecosystems, Nha Trang has become one of the major marine-life research centers in Vietnam, hosting the National Institute of Oceanography. In addition to these bountiful gifts of Nature, Nha Trang has also been invested to become one of the most lively tourism hubs in Vietnam. Hon Tre, the largest island in the gulf, has been developed to become a resort town. That is Vinpearl Land, a luxurious hotel and amusement complex, connected to mainland by the longest cable car system crossing over the sea. Not so far from the city is Pon Nagar Holy Temple, a Champa Kingdom’s complex of ancient temple towers built in the eighth century. Or your knack is something simple yet authentic, some biking tours will lead you to the pastoral countryside of Khanh Hoa Province. One of the two epic centers of Vietnam, Ho Chi Minh City, formerly known as Saigon, is an energetic city that has never stopped its pulsating progress. Founded in the 17th century as a result of the Southward migration wave during Nguyen Dynasty, Saigon soon became the capital of Indochinese Federation under French colonial period. Boasting the titles of Paris of the Orient or Pearl of the Far East, the city has a history to be proud of. Sharing some resemblance with its counterpart, Hanoi, Ho Chi Minh City is also a city of contrasts: the old and the new, the modern and the traditional. However, compared to the one-thousand-year-old Hanoi, this three-hundred-year-old city is more towards the new and the modern. As the most populous metropolis of Vietnam, Ho Chi Minh City is filled with energy and vibrancy. From the pavement stalls of plastic stools and cheap street food to sleek skyscrapers of ostentatious shopping malls and extravagant boutiques, you can always feel and live the buoyancy of this city. Historical and cultural heritages such as Independence Palace, Museum of Vietnamese History and China Town are awaiting to show you the deeper dimensions of the city. And for those who would love to have some romantic moment, take a dinner cruise on Saigon River to enjoy the mesmerizing night view of Saigon lights. Put it simply, the color of the Mekong Delta is beyond description. From the various landscapes: lush greenery and extensive waterways, to the multifaceted everyday lives of the people: vendors bargaining on floating markets and Buddhist monks walking mindfully on the streets, this deeply pastoral region is a real-life story of diversity and vibrancy. The so called ‘rice bowl’ of Vietnam is an extensive flatland that encompasses 12 provinces, each has something unique to be discovered. Just to name a few, My Tho and Vinh Long are famous for boat-trip and floating markets, Sa Dec for stunning river scenery and enchanting flower plantation, and Ca Mau for lush mangroves and swamplands. In 2014, the Mekong Delta has been listed by Rough Guides as one of the world’s top 10 best-value destinations. The priceless experience that this off-the-beaten-track land offer to you won’t break your pockets. You can find some of the very good yet inexpensive hotel in Can Tho, the capital city of the region. Moreover, the fact that it has an extensive waterway and road system means that you can travel around the Mekong Delta swiftly and economically, whether it is on motorbikes or on boats. And if the Mekong Delta itself has not satisfied your insatiable desire to explore, then its strategic location makes cruising to the offshore island of Phu Quoc or even venturing into Cambodia surprisingly convenient and economical. Emerging like a pearl in the Gulf of Thailand, Phu Quoc is Vietnam’s largest island. Spanning on an area of 590 sq km, Phu Quoc is as large as Singapore in 1960. Crystal clear water, unspoiled beaches, peaceful rivers, picturesque waterfalls, and tropical forests are the most precious treasures of the island. These natural attractions, combined with the fact that Phu Quoc is a deeply rural island, has made the largest island in Vietnam an ideal destination for tourism. Having fun on the beach with some sport or just relaxing in this paradise’s wind and sun is by no means a cliché since Phu Quoc’s beaches are exceptional. Otherwise, if you are the adventurous type, Phu Quoc is blessed with dense tropical forest and mighty waterfalls, perfectly suitable for your trekking excursion. You can venture to the nearby islands. Hon Thom archipelago is a one-stop destination for various activities, from snorkeling into the coral reef to seeing the cultured pearl production process. At the end of the day, give yourself a pause from the hectic life and find some romantic moments under the awe-inspiring sunset at the Cape of Dinh Cau. Nowadays, as Phu Quoc is becoming more and more prospective in terms of tourism, transportation to the island is very convenient. From mainland Vietnam, you can travel to Phu Quoc by airplane, high-speed boat or ferry. Vietnam Airlines operates several flights from key cities of Vietnam – Hanoi, Ho Chi Minh, Can Tho - to the island. A proud member in MGallery family (which also includes Hotel de l'Opera in Hanoi and La Veranda Phu Quoc), Hotel Royal Hoi An is a picturesque touch to the tranquil town of Hoi An. Sitting in the heart of town, Hotel Royal seeks to both mingle in the classic sphere of the town while retaining its own outstanding concept. The 119 guest rooms are exquisitely decorated with a unique take that traces to the 16th century romance between the Japanese merchant and a Vietnamese princess. Room types are also named after this love story: Sotaro Suites, Anio Suites, Yasu and Tau suites. The only 6 star hotels in Ho Chi Minh and to be open in mid 2015, the Reverie has already caught attention of the press and the public long before its grand opening. The hotel takes up the upper floors in Time Square building in the heart of Saigon and offers exceptionally luxury experience. All deco items are top notch art pieces from Italy. 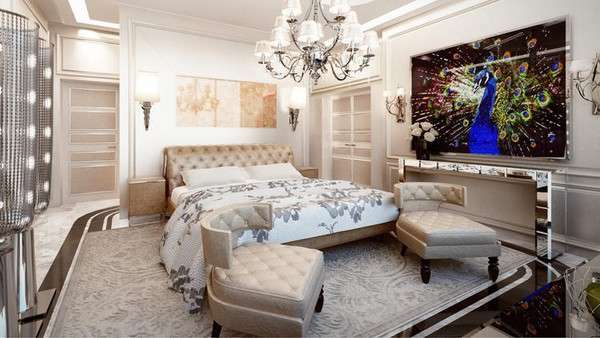 The most VIP room at the hotel costs $15,000/room/night, making it a record in Vietnam's hotel industry. Formerly a happening trading port in post-modern South East Asia, Hoi An is now famous for being an exotic tourist attraction in the South Central Vietnam. This UNESCO World Heritage site offers its guesses a peaceful ambiance. 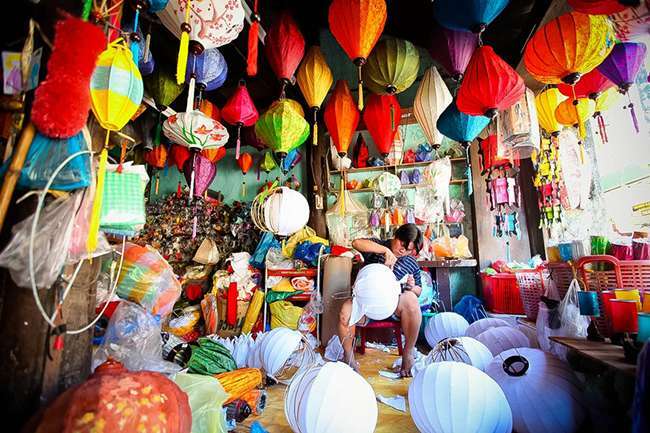 Most of the time, tourists prefer to visit Hoi An’s classic architecture and religious sites as well as to purchase traditional souvenirs and bespoke clothing from the town’s renowned tailor shops. 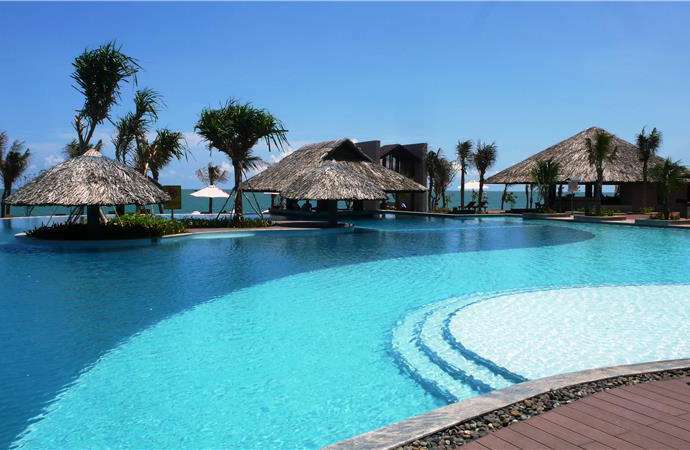 However, Hoi An also offers a wide range of service for recreation and adventure, aside from sightseeing and shopping. With rustic paddle fields, bucolic villages, beautiful river, gorgeous beach and undamaged coral reef, Hoi An is the place for you to try out new things. Below are the 5 most interesting activities to do in Hoi An, proposed by foreign tourists and backpackers. The price is $35 per pax, not extremely inexpensive but definitely worthwhile, given all the transportation along with the food and fun that you will get to enjoy. Contact us for more information about the tour and booking. Located 3 kilometers to the northeast of Hoi An’s old town, Tra Que is a typical Vietnamese village with green gardens and fields. Being instructed by local farmers, you will have one morning working under the sun to understand how the tasty dishes that you enjoy in Hoi An comes about. You will also gain great insight into traditional Vietnamese farming method. The trip will prove instructive to those home gardeners as you will acquire some very helpful tips about growing and tending plants from the local professionals. After a morning of hard physical work, lunchtime is when you will be taken care of. Foot message is often included in some of these “farmer” tours. Professional staff will help you get rid of stress and tension in your body and mind. Another reward is food and drink made of organic food grown in the village. Most of these day trips are cycle-tour as you will get to the village by bikes. Along the way, you will have the chance to discover Hoi An’s fishing village and observe farmers catching fish by nets from their row boats. The price is about $30 per pax, quite reasonable given the insight, hand-on skills and good food you will get. We have been through cooking, cycling, diving and farming, which are all in authentic Hoi An and Vietnamese style. Alas, after all of these adventures and physical activities, our last recommendation for your fulfilling experience in Hoi An is all about relaxation and invigoration. 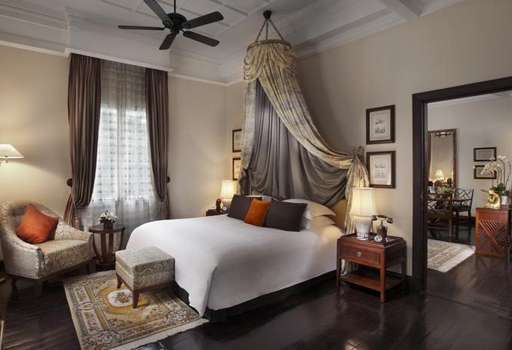 For its size, Hanoi offers a good ion of 5 star accommodation, yet Sofitel Legend Metropole Hanoi always seems to top the list and there is definitely a variety of reasons that explain. An overnight stay at the Metropole will give you access to the buffet breakfast which is not only abundant in choice, delicious by quality but most importantly exquisitely served. A fine ion of French baked pastries and cold cuts, or a steamy cup of cafe au lait will fill you up for the day. If your ideal holiday is one that spent in the exciting tropical heat, consider Phú Quốc, the biggest island in Vietnam, a potential choice. In this heaven on earth, you can have your body pillowed by the white sand and pale skin tanned under the burning sun. 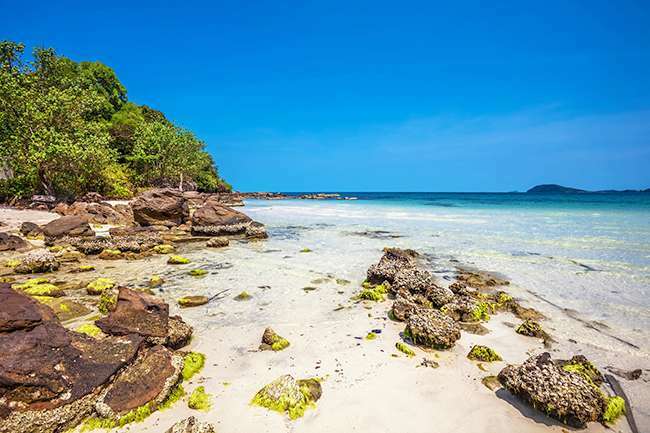 Beside the intriguing beaches, Phu Quoc offers a wide range of recreational activities and tourist attractions that cater to your deepest needs for adventures, peace and learning. Unlike other beaches where the waves hit the shore with great vigor, Bãi Sao appeals to those who seek for the sacred serenity. The water level is pretty low, which is why you can go a longer distance from land and enjoy your swim without worries for a sudden tidal wave or drowning hazards. 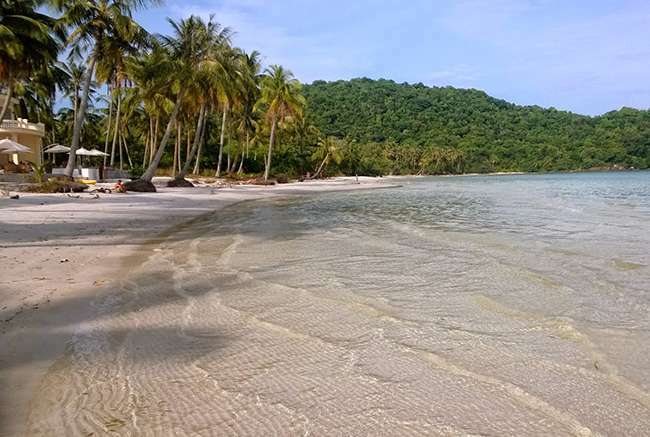 One of the most scenic beaches in Phu Quoc, Gành Dầu is where you can simultaneously enjoy the beauty of the ocean and the enormous mountains. Moreover, the place is renowned for copious seafood dishes that are sold for affordable prices. Most importantly, Gành Dầu has the most striking sunset that glorifies 500 miles of arc beach and exotic islands that can be seen at the horizon. Phu Quoc is home to the best pepper products in Vietnam. An excursion to the most important pepper plantation of Khu Tượng, thus, is enriching in a sense that you can see for yourself the successful cultivation techniques and have a taste of the flavorful peppers that are picked fresh from the trees. Another destination for those who are inquisitive about the locals’ agriculture culture is Sim Grape Garden. Like their counterparts in Italy and France, Sim Grape Garden is vast in size and colored with the inviting purple of the new and juicy grapes. Visitors are encouraged to take part in picking the fruit and try the newly fermented grape wine. These two contrasting sites will take you on a roller coaster of emotions. For those who prefer a relaxing session in the humming sounds of running water, the former will surely capture your heart, as the Flat Rock Spring, beside its signature flat rocks, is known for the serenity it offers. Pointy Rock Spring, on the contrary, promises an exciting and invigorating adventure. With seven different waterfalls and diverse jungle landscapes, this is an ideal place for sports activities such as hiking and swimming. When the night falls, the market life rolls into action. Here in the most popular night market in Phu Quoc, you can purchase the best seafood for negotiable prices or order hotly cooked dishes to your accommodation hotels. Closely related to the historical escape of Emperor Gia Long, the Magic Well’s origin is explained by his mythical encounter with divine creatures. When Gia Long and his people, on their way to escape the fate of an overthrown royalty, stopped by Phu Quoc in the grip of thirst for water. In desperation, Gia Long pointed his sword to the rock and a stream of fresh water spurted out, forming a fresh water pond in the middle of the ocean. As the crack is still visible on the rock, the story prevails as believable and as proof of his supernatural power. It can often be a challenge being vegetarian or vegan in Vietnam. The cuisine is often flavored with animal bones, or sprinkled with dried meat, even if it is not a meat dish. But there are so many beautiful vegetables and fruits in the country, that when you start to look for alternative foods, you can start unlocking doors to beautiful and vibrant new culinary treasures. And there are some lovely restaurants catering to the vegetarian, with flavors to be tasted that will tantalize the taste buds, making you proud to be going animal-free. A new location from 2015, this lovely little family business is a vegetarian restaurant in Tay Ho. Their new address, 164 Au Co, is an improvement on their previous location on the same street. They make their food with so much love that you can taste it. They have some of the best fresh spring rolls and fried nem you’ll ever taste. Be sure to try their banana soup sometime—it’s such a unique and delicious creation. Located on 33 To Ngoc Van, Daluva is always a wonderful dining experience. While not a vegetarian restaurant, Shay, the owner, is extremely knowledgeable and passionate about food. The artful menu is has vegetarian dishes labeled, making the vegetarian feel at ease. Asking for modifications on the menu, and vegan recommendations is never a problem; Shay is extremely accommodating. The falafel is always a treat, and there are often specials being featured weekly, as well as special events, such as wine tasting on Fridays nights. Zenith Yoga, with two locations—on at 247 Au Co and the other at 17 Duong Thanh, provides lovely and fresh vegetarian and vegan food in addition to their yoga classes. Decorated with lush pillows and relaxing atmosphere, it is a wonderful place to enjoy your meal. Their menu incorporates many fresh salads and sandwiches, soups and pizzas. They also do refreshing drinks and artfully presented coffees and desserts. If a tasty meal is what you want, Thien Phat is a great option, though they do have an extensive menu filled with veggie treasures. Located on 16 Hang Hanh (Just steps from Hoan Kiem Lake) and 91 Ly Thuong Kiet (a more premium location), this Vietnamese restaurant is a quaint operation, though the food is belly-warming and will leave you eager to come back. You can ask for brown rice, and they do many concoctions with fake meat that is very convincing. 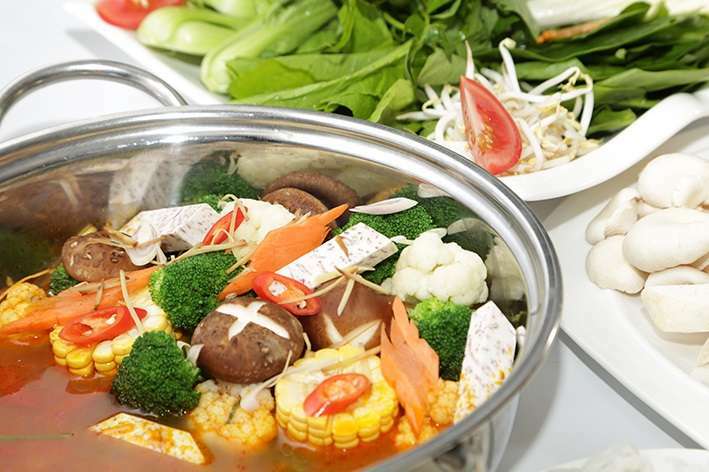 There is buffet lunch twice a month for just $6 and you can sample the very best of Vietnamese's vegetarian food. Gelato Italia deserves a mention as far as desert is concerned. Their luscious, creamy gelato is as good as any you’ll have in Italy. And theirs will have you a gelato convert, kissing ice cream good-bye. What is extraordinary about their menu is that they mention which flavors have egg and/or dairy, making the vegan as welcome as anyone. And their fruity flavors are almost all vegan; as is allegedly their dark chocolate, which is one of the richest, decadent things you’ll ever taste. Gelato Italia is located on 31 To Ngoc Van. Craving something sweet? 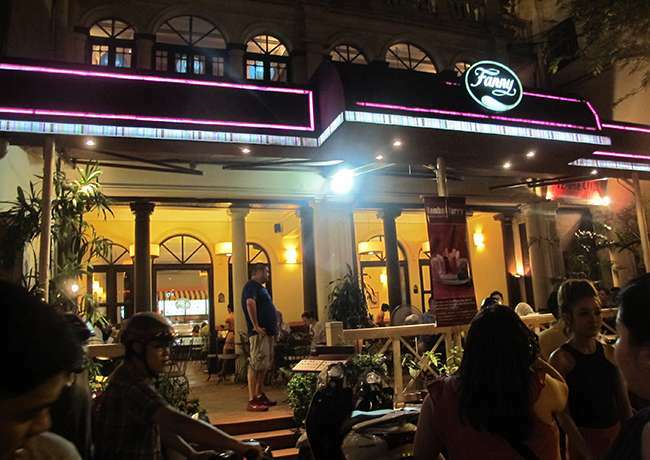 With the array of expats living in Hanoi, there are restaurants from all over the world, offering a variety in cuisine—with that coming delectable sweets. Here is the list of the best desserts in Hanoi. Not only does Fanny do aesthetically appealing ice cream creations, but the atmosphere of the restaurant is luxurious. Set in a French Colonial home on 51 Ly Thuong Kiet, it is convieniently close to the Old Quarter, yet far away enough to be outside the traffic. While also a restaurant, Saint Honore has the best French bakery in town. Their display case will leave you drooling. With colorful macaroons, decadent cakes, and picturesque baked goods, it might be hard to choose what to order. Their chocolate loaf is particularly rich and sumptuous. They have three locations—one on Xuan Dieu, one in Ciputra Residence Complex and the other across the street from Vincom Center. This cute and hip restaurant, often scattered with young Vietnamese teens, has surprisingly tasty cupcakes. They have inspired drinks as well, to accompany your treat. Try the matcha cupcake and the kumquat juice for a deliciously different dessert experience. Add: 18 Dien Bien Phu, Hoan Kiem, Hanoi. Relatively new, this gelato shop is a decadent treat. Their gelato—rich, creamy, is the best way to finish a meal. Their flavors vary from fruity to chocolaty, and they’re always experimenting with new ingredients. Don’t be surprised to see gorgonzola cheese gelato in the display case. Add: 31 To Ngoc Van/ 61 Ly Thai To (Luala Station). A popular coffee shop with impressive sandwiches, Joma also has some of the best deserts in town. Cakes and pies are always in the case and can be ordered for special occasions. Their pumpkin cream cheese muffin is such a fall flavor delight. And if you miss the taste of a Nanaimo Bar, this is the only place in town you can find it. Add: 43 To Ngoc Van/ 22 Ly Quoc Su/ 28 Tong Duy Tan/ 38 Lieu Giai. A Japanese restaurant, this crepe shop has lovely creations. Especially delicious are their mango crème crepes. Their coffee is nice, and they’re just a step away from Thong Nhat Park, on 34 Nguyen Dinh Chieu, Hai Ba Trung. If you love these doughy balls, Moshi Sweets on 45 Hang Trong will be a delight. They will package the moshi carefully for you to take away as well, though who can wait? Some of their flavors include mango crème, chestnut, green tea, and sakura. The Singaporean chain specializing in choux pastry has quite a number of shops in Hanoi. Try the exquisite blueberry cheddar or all time favourite triple chocolate. If you’d like to have your cake and eat it too, Zenith Vegetarian Café is a good bet. With coffee, juice and tea on the menu, you may as well get one of their vegan desserts. They have a chocolate cake, a carrot cake, and their newest addition is a raw passion fruit cake. Yum! Fancy some street dessert? If you’re lucky you might find a bo bia vendor walking around with their white box on wheels. What they are creating with shredded coconut, black sesame, and sugar cane is incredible—and for 10,000 dong, a steal!